Game Changing Tools and Apps! Honored to join EdTechTeacher's iPad Summit! 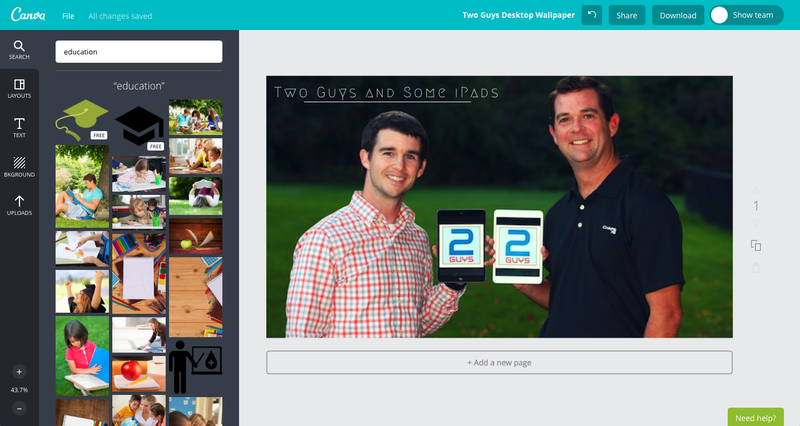 Brad and I are incredibly honored to be featured speakers for EdTechTeacher's iPad Summit in San Diego February 2-3, 2016. The best thing about this incredible event is that it is 3 EdTechTeacher Summits for 1 registration! 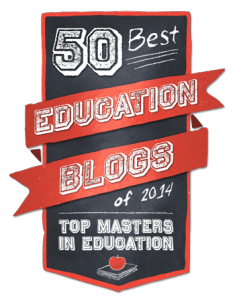 "At EdTechTeacher, we pride ourselves on asking "what's next." Whether it be iPads, Chromebooks, Google Apps, or other mobile devices, we challenge participants in all of our workshops and conferences to think about how to truly transform student learning. February 1-3, 2016, we plan to bring together all of our learning communities to address the challenge of how to best innovate education. 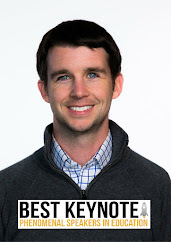 This Innovation Summit will feature one day of hands-on Pre Conference Workshops followed by 2 days of concurrent sessions, innovation labs, and keynotes. 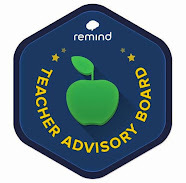 We plan to bring together thought leaders, iPad education experts, Google for Education Certified Trainers, and talented educators who are trailblazing in education. Best of all, one registration grants access to all three events." Brad and I have 2 sessions scheduled, Augmented Reality in the iPad Classroom and iLab Inspire Innovation by Fostering Collaboration and Creativity (Innovation Lab). Our iLab session will be limited to the first 40 attendees to sign up so DON'T WAIT! 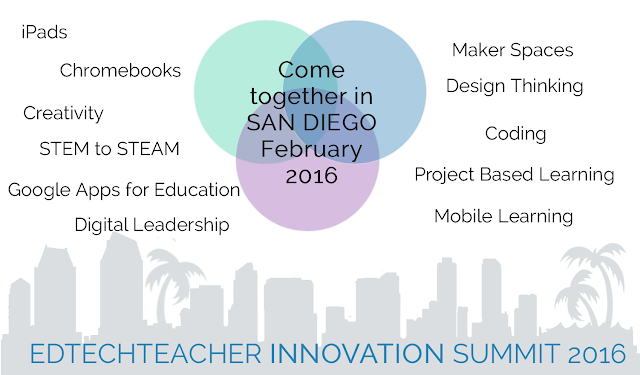 Both of our sessions will take place on Feb 2nd and we hope you will join us in San Diego! SUPER EARLY Registration is available until December 11th. Thats ONLY 2 more days! Join me for #LeadUpChat this Saturday Morning! 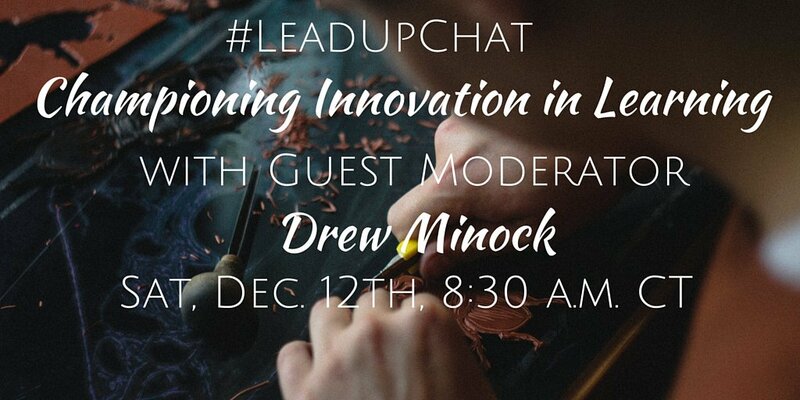 I am very excited to join #LeadUpChat this Saturday morning as a Special Guest Moderator. 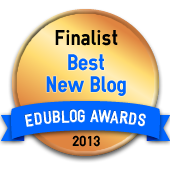 Our topic will be Championing Innovation in Learning. I hope you able to join the conversation! 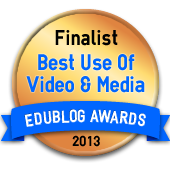 We are thrilled and honored to share that our proposal to speak at SXSWedu was accepted! We would like to thank everyone who took time to vote and comment on our session proposal! We greatly appreciate all your support. Our session "Augmented Reality: Engaging a Minecraft Generation" is a Core Conversation format. "Core Conversations allow discussion leaders to facilitate an informal and open dialogue with attendees around a particular topic. Attend these sessions ready to share your insights" is the format description on the SXSWedu website. You can find more information about our session on the SXSWedu PanelPicker located here. Session specifics (including date, time and location) will be available when the 2016 online schedule launches in January. One of my favorite tools continues to get better and better! 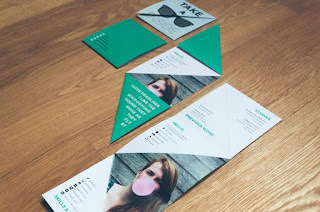 Canva recently released an update that brings several new exciting layouts! Hopefully you or your students can use these layouts to create meaningful content in a fun way! I highly recommend checking out the attached posts from Canva's Design School blog to get your creative juices flowing! 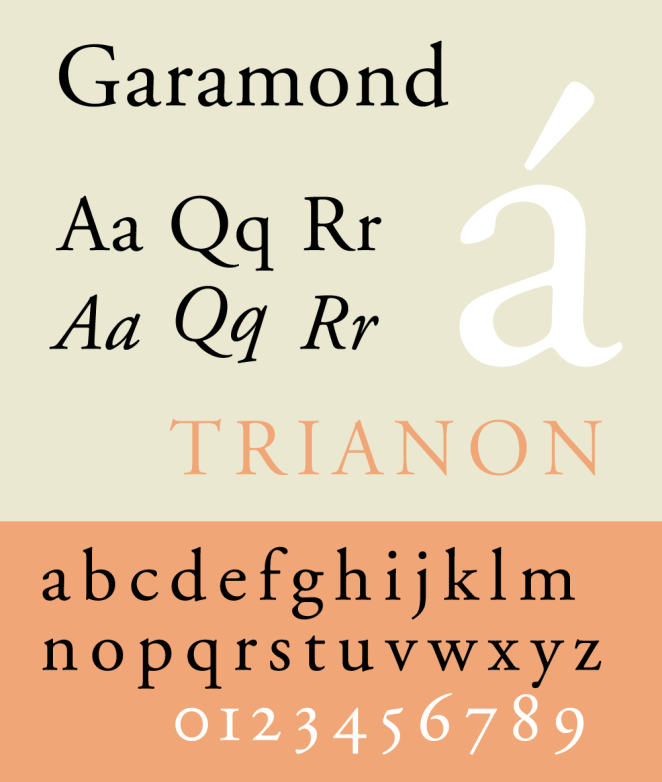 "20 Best and Worst Fonts to Use on Your Resume"
"Inspiring Resume Designs: What You Can Learn From Them"
Canva's new layout allows users create personalized magazines. 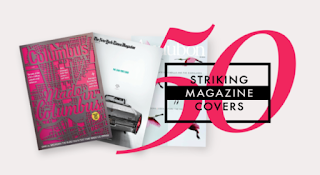 Canva's email describes their new magazine cover layout as a way to share information will any audience. 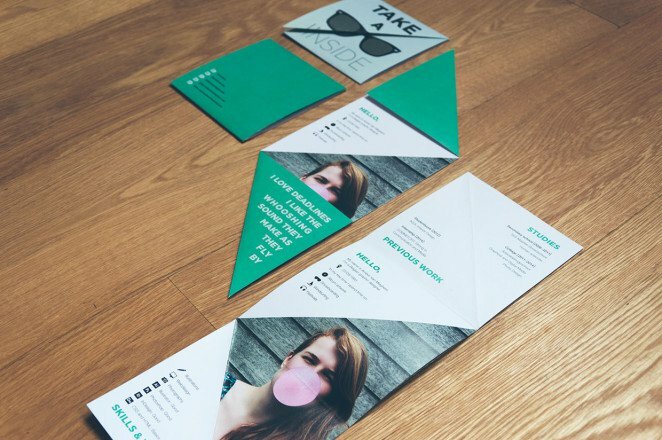 "Our magazine layouts make it easy to create your own newsletter or promotional magazine. Great for sharing news and updates with your sports team, workplace or community group." What fun and creative way for students to show their comprehension! 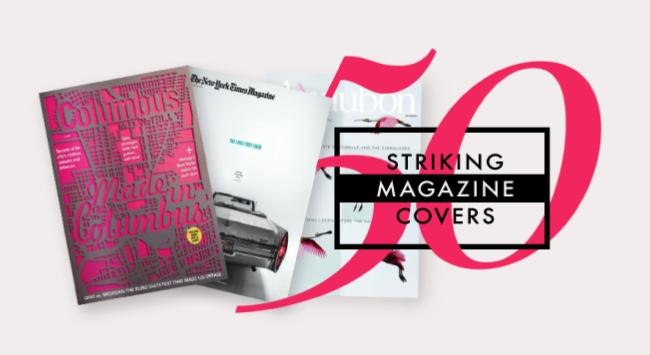 "50 Design Techniques That Made These Magazine Covers Awesome [Epic Case Studies]"
Canva's new eBook layout allow you or your students the ability to easily create beautifully designed eBooks! You can add several pages to your ebook using the different templates. After creating your eBook, download and share it with the World! Desktop wallpapers and postcards are a couple of the several newly added layouts in Canva. 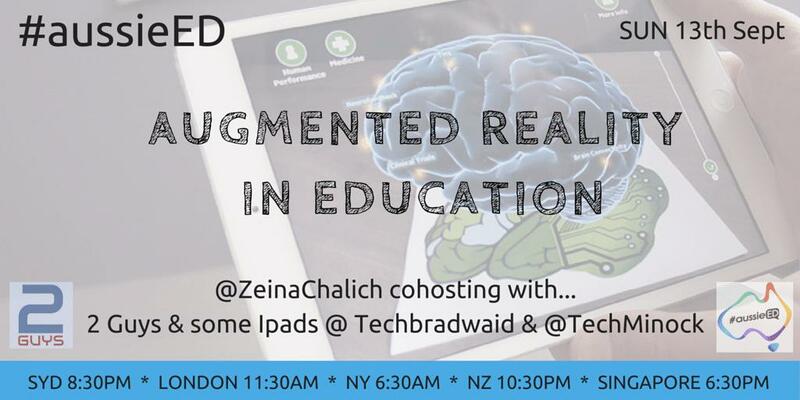 Join us to discuss Augmented Reality in Education during #aussieEd Chat This Sunday! Brad and I are co-hosting #aussieED Chat this Sunday with the amazing Zeina Chalich! The chat topic we will be discussing is Augmented Reality in Education and we would love for you to join us! Learn more about #aussieED here! 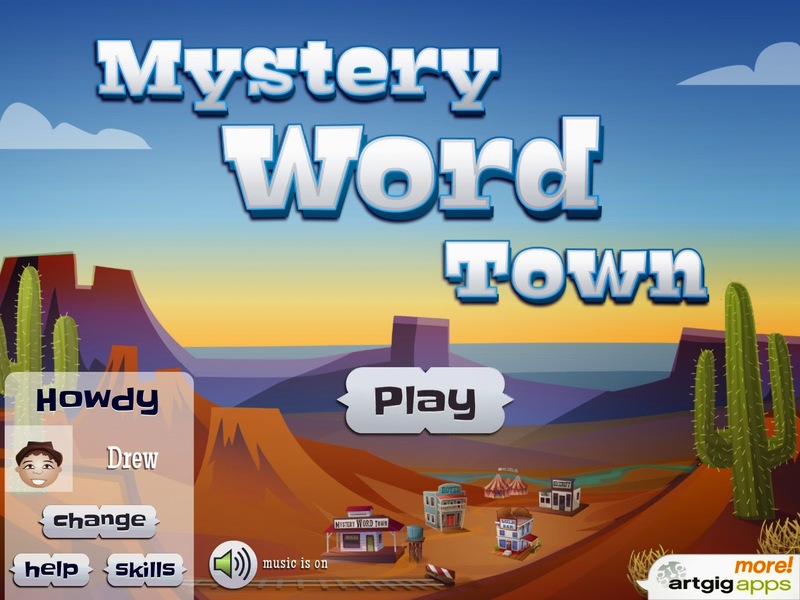 A new and exciting update to Mystery Word Town brings two major features. The first feature allows users record their own words. This is something the creators are very excited about! Joey Keating from Artgig Studio said, "There's just something about hearing your own voice, or your kid's voice, or your dog's voice, coming out of the game. 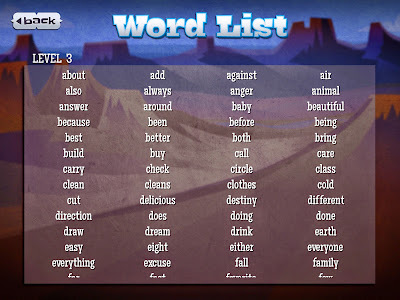 And you can add as many words and lists, as useful and silly, as you like." 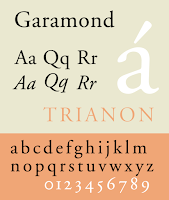 The second new feature allows users to create custom word lists. This is a great way to differentiate for each child in your classroom or each one of your children at home. “We’ve always strived to make our apps flexible and customizable for a range of users and applications, but allowing the user to be personally involved in the functionality of an app is a really exciting twist on interactivity.” said Joey Keating from Artgig Studio. These two major updates makes learning sight word a lot of fun! We also recommend checking out Artgig's other great educational apps on their website. 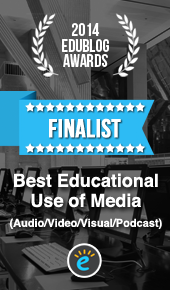 PLEASE CLICK HERE TO VOTE FOR OUR SXSWedu Session! Brad and I are excited to share our augmented reality session proposal for SXSWedu 2016. 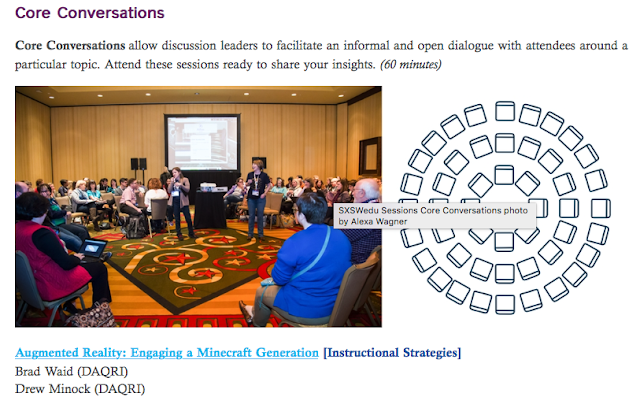 Our session format will be a core conversation, which the SXSWedu Session Starter Kit describes as a speaker led open conversation with attendees around a particular topic. 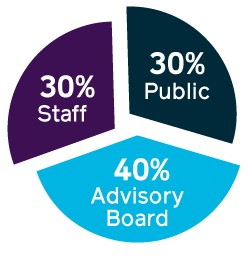 Sessions are selected in a unique way where staff, public vote and the SXSWedu advisory board are all factors. With 30% of the selection process being public vote, we need your help! Please take a minute to vote for our session and leave a comment if you'd like. We would love to attend SXSWedu 2016 and share the power of learning with augmented reality! Session information can be found below. 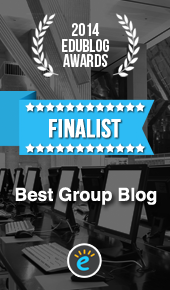 The link to the voting page is located at the top of this post. Thank you for all your amazing support! Why will kids sit for hours immersed in a Minecraft world, but have trouble staying engaged during class? As a group, we will discuss how new augmented reality (AR) tools give educators and students the power to: create meaningful learning experiences that combine the digital and physical worlds, build interactive experiences to show and share knowledge with a global audience, understand complex concepts, and retain information longer. Together will we address how we can take existing curriculums, and enhance them to appeal to the Minecraft Generation. Empower students, teachers, and administrators to use augmented reality to design and create powerful learning experiences for the Minecraft generation. Provide basic knowledge and skills set to create and integrate meaningful augmented reality experiences in the classroom, school, and community. Highlight the way educators and students are using augmented reality to comprehend learning complex concepts, and retain information easier. Enjoying lunch at The Fieldhouse with friends! I am fortunate to attend several conferences throughout the year, but few compare to ISTE (International Society for Technology in Education). It does not matter if it is your first time, or if you are an annual attendee, the ISTE Conference can be overwhelming! The majority of the 21,000 attendees spend the bulk of the time in sessions, workshops or exploring the massive expo floor. I try to do the complete opposite. 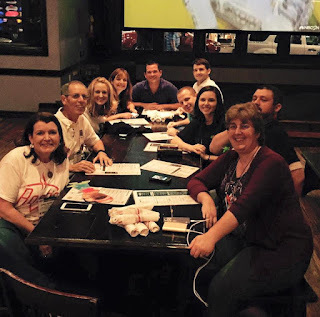 Connect with as many amazing educators as possible. I do not attend one session or workshop and here is why. I believe connecting and building relationships with educators from around the World, is more valuable than attending sessions. Connecting with people allows you to learn from them year round, instead of 60 minutes on one topic. I think each educator should spend their time the way that will benefit them and their students. I have found this is the best approach for me. What approach or philosophy do you have when attending a conference? 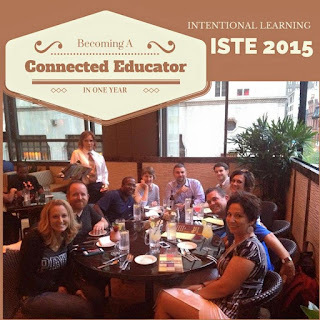 Do you approach ISTE differently? The leaders in augmented reality take center stage this week in Santa Clara, CA at the 6th Augmented World Expo! The World's largest Augmented and Virtual Reality Conference will host over 3,000 attendees traveling from over 40 different countries. Each of the 3 conference days has a dedicated theme. Day 1: Learn "Super charge your brain!" The first day is focused on workshops and tutorials from the latest technologies. Day 2: Demo "Super power your people!" The second day features 100+ micro talks from industry leaders. Day 3: Inspire "Super Inspiring!" The final day will include several epic talks from some of the greatest minds in AR, VR, wearables, and IoT. This will be my first trip to AWE and I could not be more excited. I look forward to showcasing DAQRI 4D Studio Tuesday and Wednesday on the expo floor, and connecting with many of the industry thought leaders. Can't attend but still want to follow the conference? 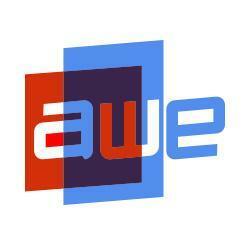 Follow AWE on Twitter @ARealityEvent or by searching #AWE2015. For complete conference information make sure you visit http://augmentedworldexpo.com. Artgig Apps has done it again! 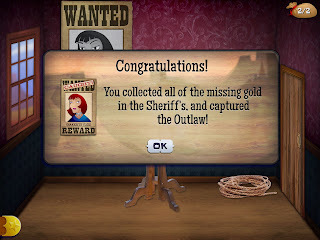 Artgig Studio's mobile development arm is well known for the development of kids educational apps like Mystery Math Town, Mystery Math Museum, Shake-A-Phrase, and many more! 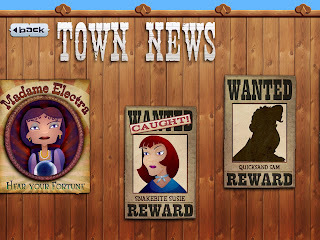 Mystery Word Town uses 3 different levels of difficulty to accommodate a wide range of students. Level 1 "Easy" helps students master a foundation of sight words before increasing to Level 2 "Medium" and Level 3 "Hard" for in depth spelling practice. 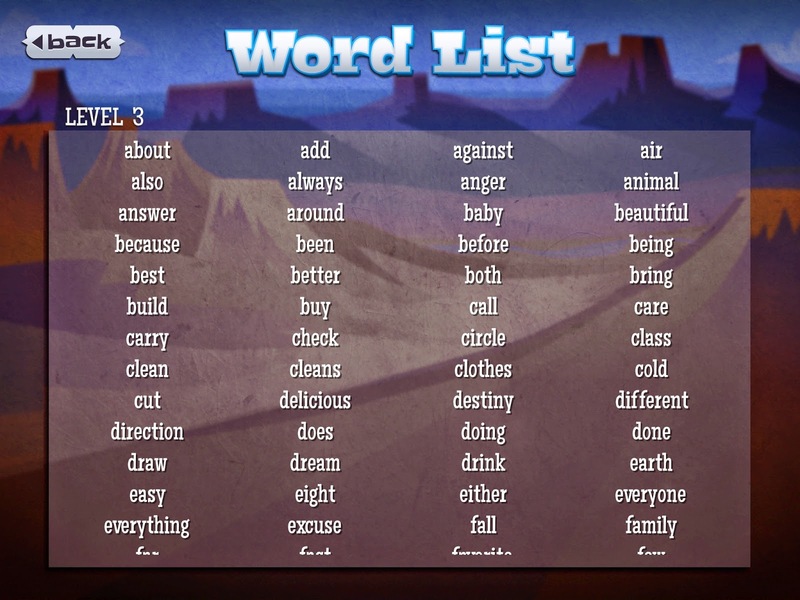 I love how the word list for each level is included. Another great feature is the ability to spell your own words, or listen to the word first, then spell it. This feature helps those students who need an audio cue. I highly recommend downloading Mystery Word Town along with all the other amazing educational apps from Artgig Apps! These apps create a fun filled yet meaningful learning experience! Brad and I are very fortunate to travel around the world to work with amazing students and educators. Each place we visit, we are met with kind gestures and positive attitudes. 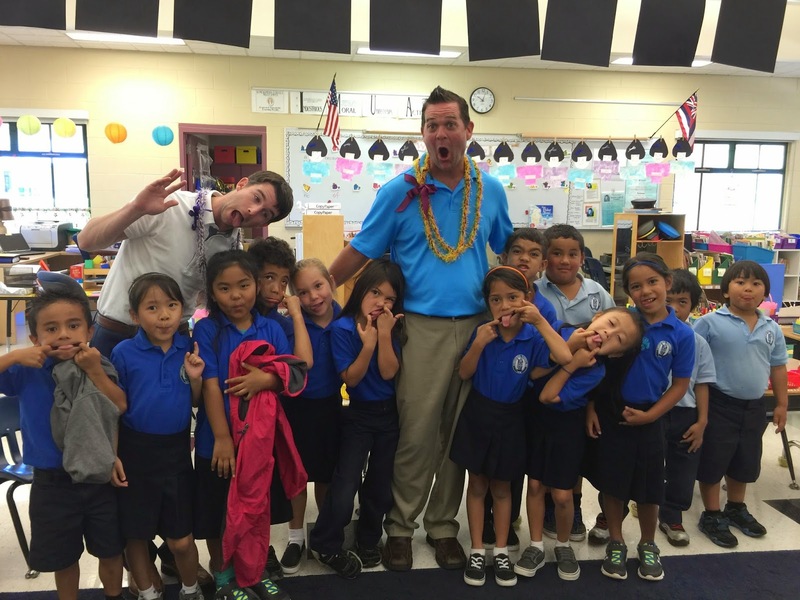 Students at The Kamehameha School in Maui, Hawaii gave us one of the kindest gestures yet with this Oli Mahalo Thank You Chant to thank us for visiting their school! Head over to the Two Guys and Some iPads Facebook page to see more from our visit to Hawaii! Enjoy! 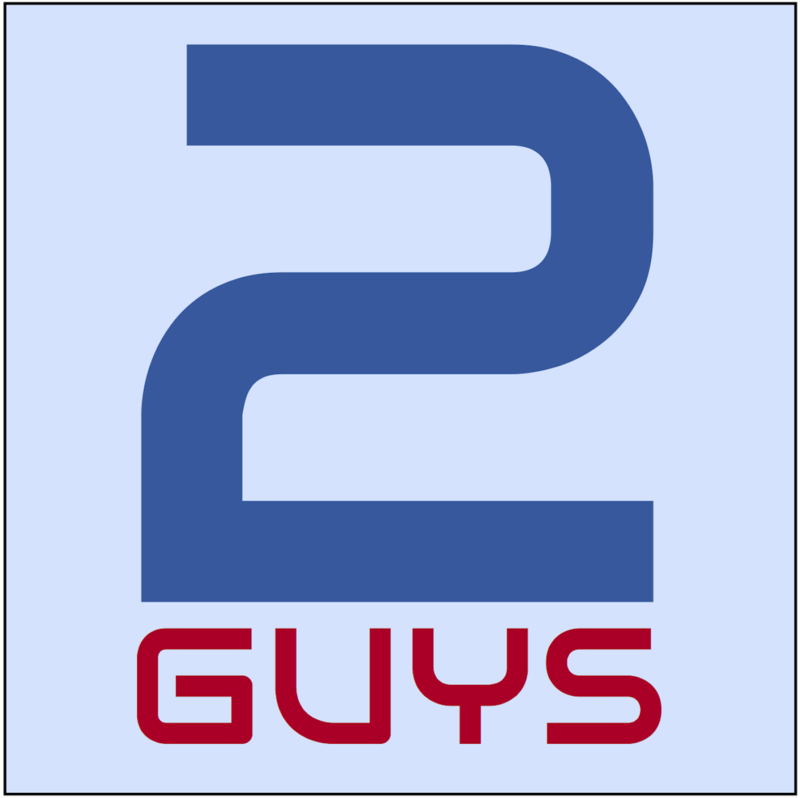 Click the logo to download and listen to our show! 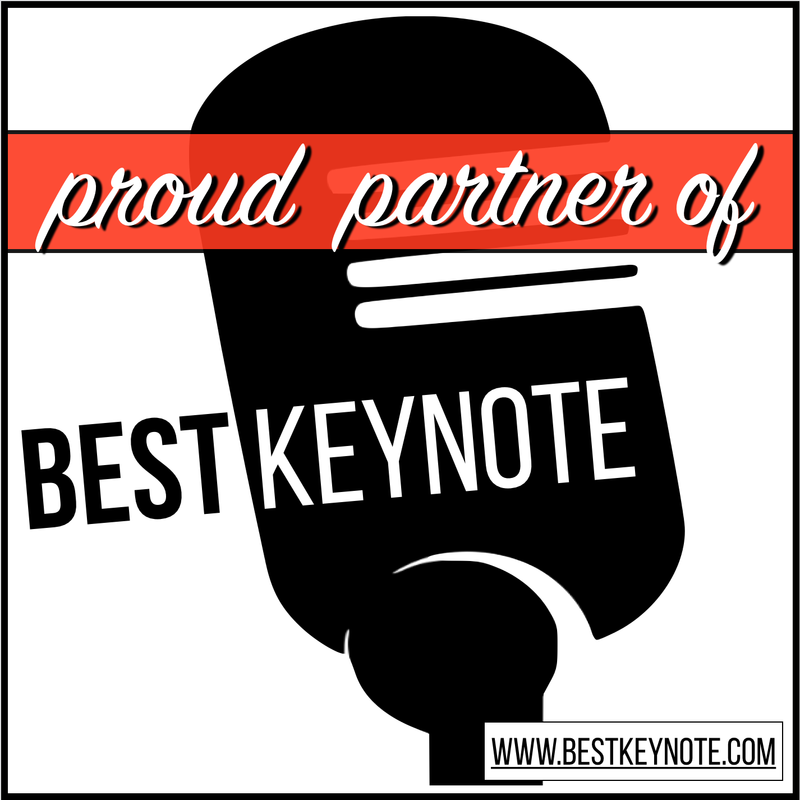 Need a Speaker at Your Next Conference?